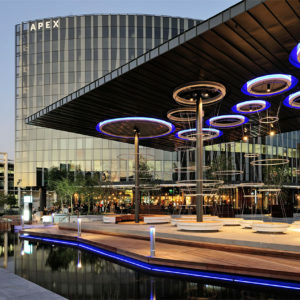 The Apex forms the focal point of the new Century City Square which is the first mixed use development to receive a Green Star rating from the Green Building Council of South Africa. 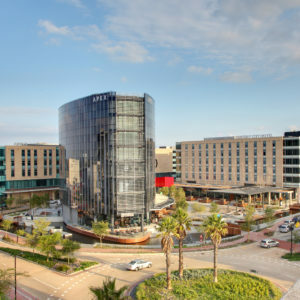 This eight-storey building with dramatic double-glazed glass exteriors and a unique, curved architectural design, offers corporates the ultimate in sophisticated Century City office space. 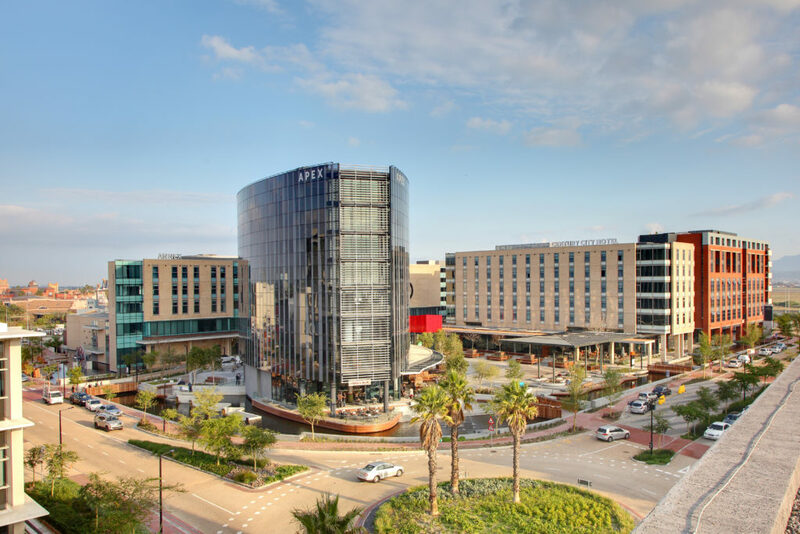 The bold elliptical form is dressed with two sheer skins of patterned glass, commanding unparalleled views of Table Mountain and the greater Cape Town area from the upper levels. 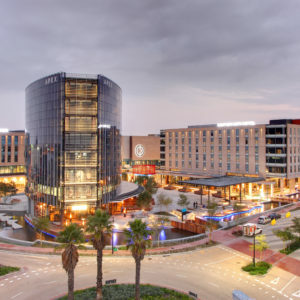 The ground floor hosts restaurants, coffee shops and bistros, spilling out onto the sheltered, sun- splashed Square with its trees, fountains and cascading water features. 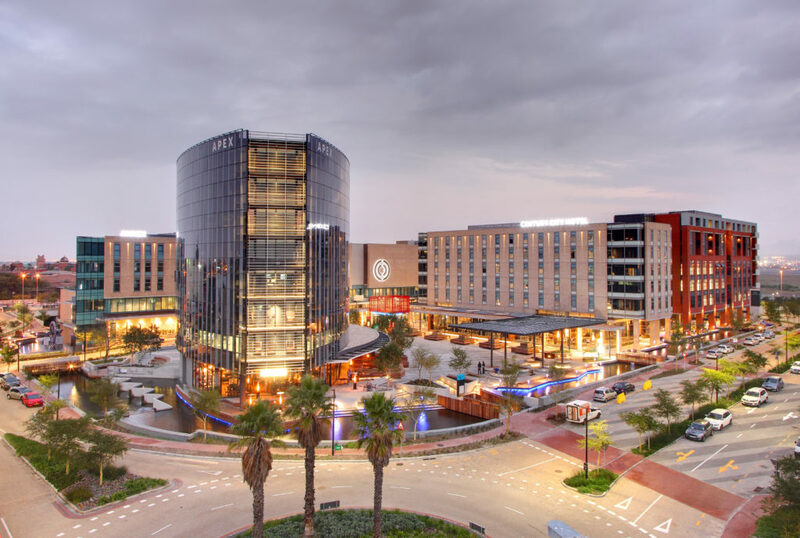 Above this rise seven floors of prestigious, corporate office space in an outstanding location with convenient access to an array of world-class hospitality, transport, retail and leisure amenities all within easy walking distance. 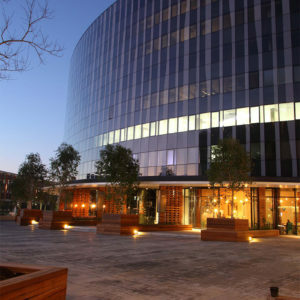 Each floor consists of approximately 1 028 sqm of usable space. 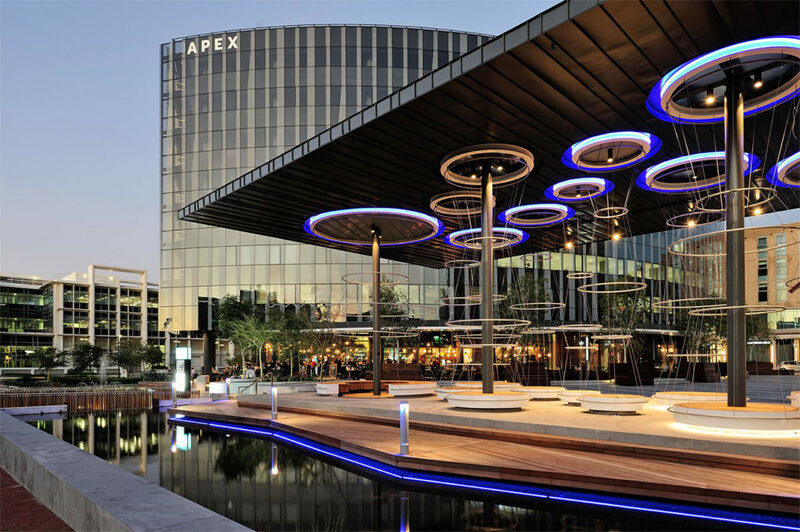 Bordered by cascading waterways and fountains, The Apex has been awarded a 4-Star Green Star rating from the Green Building Council of South Africa.. 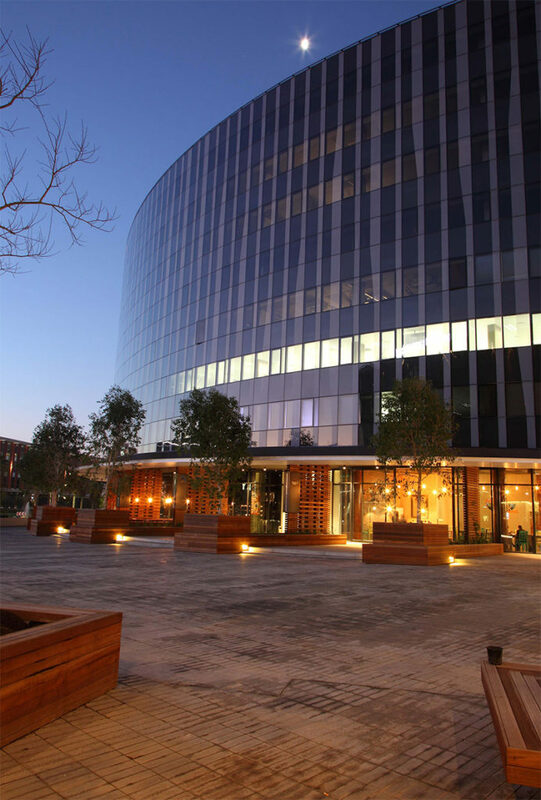 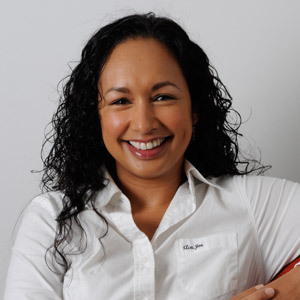 This not only scores major corporate ‘greenie points’ for tenants but significantly reduces operating costs through energy- efficiency, as well as providing light, people-friendly workspace for that vital HR edge. 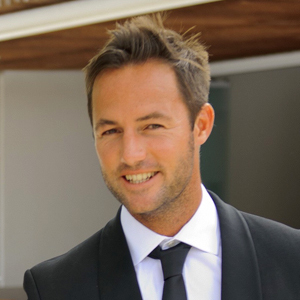 To check current availability in the Apex please check under offices to let on our website.